John Engquist does many things well. The 64-year-old CEO of H&E Equipment Services has a proven track record as a successful business executive, having grown the heavy equipment dealership founded by his father in 1961 into a publicly traded company with more than $1 billion in revenues and nearly 90 locations around the U.S.
He’s athletic, playing basketball at LSU for two seasons in the early 1970s under legendary Coach Dale Brown. Today, he still takes home trophies for catching 830-pound bluefin tunas at fishing tournaments along the Gulf Coast. He and his wife of 44 years, Marty Engquist, have raised a family together and, in their spare time, founded a nonprofit organization that has supported St. Jude Children’s Hospital in Memphis to the tune of some $5 million over the years. 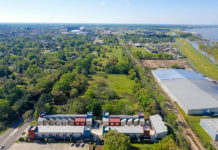 So it was somewhat unfamiliar territory for Engquist when, in 2008, he found himself stuck in a bad business deal with J. David Matthews, a fast-talking real estate developer from Georgia who had oversold his ability to develop a Traditional Neighborhood Development planned for Zachary called Americana. Ignoring his initial reservations about working with the glib Matthews, Engquist invested in the deal a year earlier, mainly because he believed the project had potential given its location in a growing community with the best school district in the state. But by this point the partnership wasn’t working out, and the future of the development looked shaky. Tensions escalating, Matthews put the property into involuntary bankruptcy. Litigation ensued. Engquist eventually prevailed, taking control of the 420-acre site, but only after a protracted and pricey legal battle. A lot of people might have walked away from real estate after such an ordeal. Engquist viewed it as a learning experience, one that he has parlayed into a rapidly growing real estate empire. Today, Americana is under construction and home to a new YMCA and three restaurants. More than 100 single-family lots have been sold, half of which are developed and occupied. Construction is also underway on a multifamily complex and a 90-unit senior living facility. 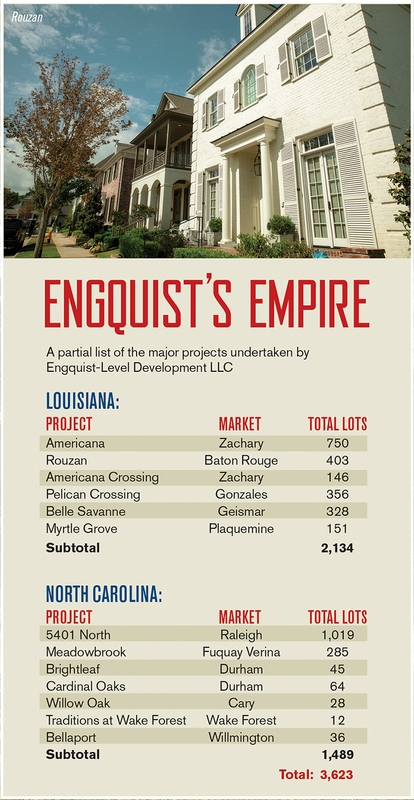 Engquist, meanwhile, has gone on to develop more than 15 residential and mixed-use projects in Louisiana and North Carolina, building out more than 3,600 housing units. 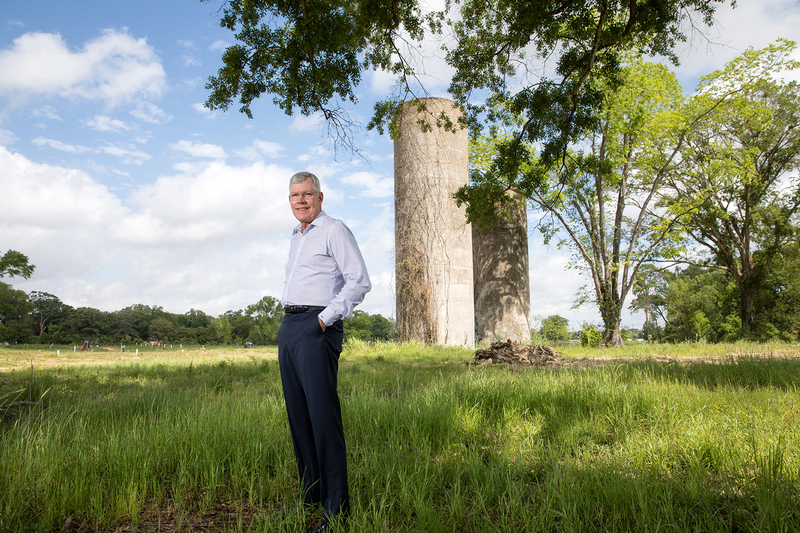 In less than a decade, he’s established himself as one of the most successful players in the Baton Rouge real estate market—and he’s still the full-time CEO of H&E. Real estate may simply be a sideline venture for him, but he’s already better at it than many who have made it a full-time career. Those who know him well are not surprised. They say Engquist is a quick study, aggressive and fiercely competitive, traits that serve him well both in the board room and in the rough-and-tumble world of real estate development. Perhaps more importantly, he’s not afraid of risk or failure. The challenge that comes with adversity and the thrill of the deal only motivates him to work that much harder. Some have suggested Engquist honed his competitive skills on the basketball court under the aegis of “Daddy Dale,” as the former Tigers coach was affectionately known by his players. Actually, those traits date back at least as far as his days at Westdale Junior High School in the late 1960s, where he was an alpha male in a class brimming with an uncanny number of alpha males—Matt McKay, Johnny Fife, Kevin Reilly, Jay Dardenne, David Brantley and Sam Brocato, among others—who would grow up to become high-profile business and community leaders. Engquist’s opportunities came from his dad, Tom Engquist, who had bootstrapped his way from east Texas to Baton Rouge with just $5,000 in his pocket and a franchise agreement to start a heavy equipment dealership. Over the next three decades, the elder Engquist would grow that Head & Engquist dealership into a respected, regional player in the heavy equipment market. John Engquist grew up in the company. His father stressed the importance of discipline and hard work, and Engquist took that ethic to heart, working summers at the company before he was even in high school. He graduated from Baton Rouge High School and went to LSU, where he was a member of Brown’s first team in 1972. After his sophomore year, he married his sweetheart, Marty, whom he’d met two summers earlier on a ski boat outing at False River, promising his family he wouldn’t quit college or basketball. He quit both and went to work for the company full time. Engquist was ambitious, working his way up the ladder and growing the company along the way. In 1995, he bought out his father, and four years later brought in a private equity firm that acquired a majority stake in the company—a move that left him as the biggest individual shareholder and CEO. “I saw a huge opportunity to grow the business and felt like bringing in a capital partner would enable me to do that,” he says. 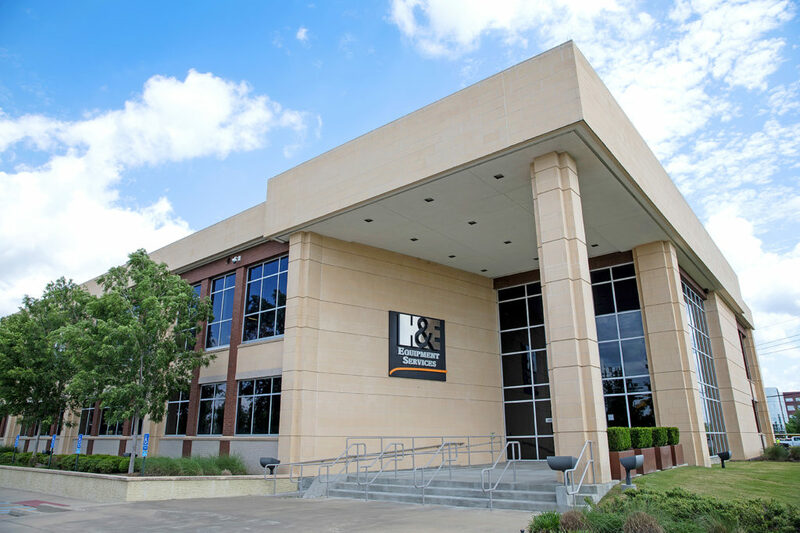 The company merged with competitor ICM Equipment and changed its name to H&E. In 2006, it went public, and in the years since has continued to grow, mainly through the acquisition of small and regional players like Head & Engquist once was. Today, H&E is one of the top 10 heavy equipment companies in the country. Engquist’s goal in the next few years is to crack the top five. While Engquist’s father was his entrée into the heavy equipment business, it was, ironically, his son who provided his entrée into residential real estate development. Before the Americana deal ever crossed Engquist’s desk, Ryan Engquist was a homebuilder working with childhood friends Todd Waguespack and Kelly Sills at a fledgling company called Level Construction, then building some 30 or so homes a year. Though Engquist had dabbled in real estate investments from time to time over the years, he’d never been involved in residential development. But Level needed help so Engquist agreed to become a major investor. Within months, the mortgage banking crisis occurred, triggering the Great Recession of 2008 that sent real estate markets into a tailspin. Suddenly, Level went from being a company trying to grow to a company on the brink of folding. Engquist went from investor to life preserver, pumping in still more capital to keep the company afloat. Gradually, Engquist’s role morphed into that of a land bank, one in which he would acquire lots then sell them to Level once it was in a position to buy. There were a lot of good deals on the table in those years and Engquist was in a position to take advantage of them. It was a confluence of circumstances and good timing that came together in his favor. In the years since, Engquist has moved quickly to seize those opportunities. 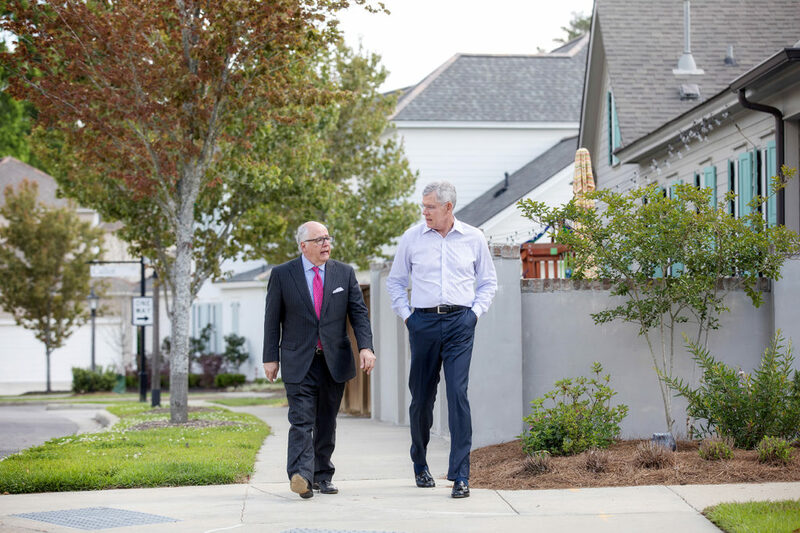 Today, he has become both an investor in residential projects through Level—now among the top five homebuilders in the market with more than $12 million in revenues—and a developer himself, through his Engquist-Level Development. 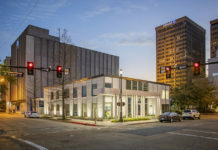 Both entities do work mainly in Louisiana, but also in North Carolina, where Level has been the lead residential developer of the Baton Rouge Area Foundation’s 5401 North, a 1,000-lot TND in Raleigh. Though he never had any formal training in real estate, those who work with Engquist say he’s a natural at it, with an MBA’s command of numbers and an intrinsic understanding of what makes a good deal work. People now bring deals to him all the time. 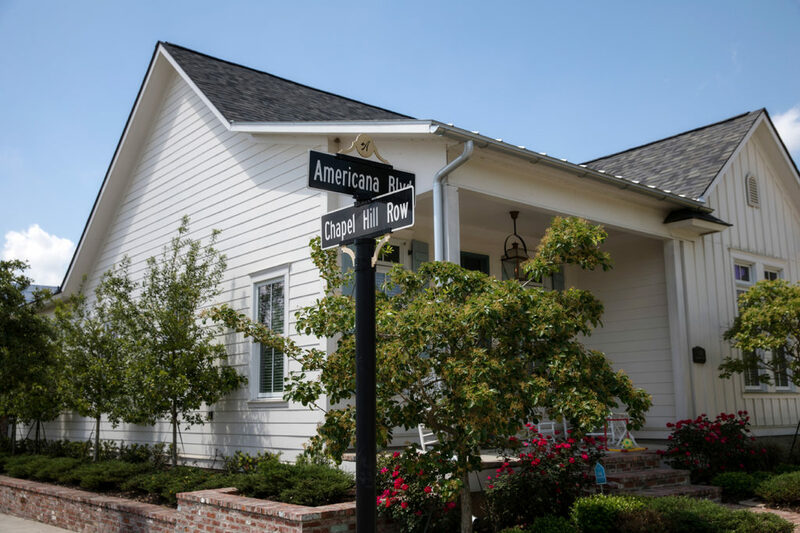 Like architect and builder Mike Hogstrom, who announced plans in 2015 to acquire the Old Goodwood Plantation and develop a 47-lot subdivision, Adelia at Old Goodwood, around the 146-year-old historic home. But the project proved tougher than anticipated and financing started running low. In 2016, he approached Engquist, who “came in at the eleventh hour as an investor and bailed me out,” Hogstrom recalls. “It was a deal he was very skeptical about, but he did it and he took the risk with me and he succeeded,” he says. Today, Adelia at Old Goodwood has all but four lots sold and Hogstrom says Engquist has nearly doubled his money. No doubt, Engquist is adept at sniffing out and analyzing deals, but what’s also enabled him to be so successful at doing so many developments while still running a public company is a division of labor that involves a handful of key players. Chief among them is real estate attorney Charles Landry, who wears the hat of developer on some of Engquist’s projects while tending to the myriad details development entails—property transfers, zoning regulations, lease negotiations, meeting with the neighborhood groups and elected officials who have the ability to make or break projects. Daigle himself has also served as a consultant on some of Engquist’s projects, as has Lafayette architect Steve Oubre. Waguespack and Ryan Engquist, meanwhile, head up residential construction. Engquist’s latest project is Rouzan, the 100-acre TND on the edge of Southdowns that was started nearly a decade ago by developer Tommy Spinosa. The deal came about after Level, which builds homes in Rouzan, was unable to close on a 100-lot purchase agreement it had negotiated with Spinosa. The reason, it turned out, was that Spinosa had effectively lost his financing in mid-2017, when his lender, New Orleans’ First National Bank of Commerce, was shut down by the federal government. 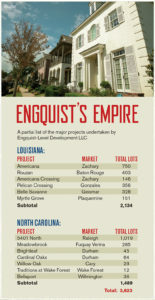 Initially, Engquist only wanted to purchase the 100 lots Level needed. But the feds, which had taken over Spinosa’s debt, weren’t interested in selling pieces and parts, so Landry structured a deal whereby Engquist would purchase the entire TND. Though it wasn’t what Engquist says he set out to do, the more he thought about, the more sense it made. Rouzan, which sits in the middle of a pasture that fronts Perkins Road just past College Drive, is prime property in the heart of Baton Rouge. Spinosa, for a variety of reasons that long predated his problems with the bank, had been unable to carry out his ambitious vision for the development. Engquist saw the potential the project has and realized he had the wherewithal to make big things happen there. Since acquiring the property in January, Engquist and Landry have already begun moving forward with plans to build amenities like a clubhouse, pool and walking trails at the TND. They’ve signed a lease with a high-end supermarket, Sprouts, that will anchor part of the commercial center. They’ve also reached a deal with the library board to build a long-awaited south branch on the edge of the development. It’s gotten to the point for Engquist now where it’s fun. TNDs, in particular, offer a challenge because of their restrictive zoning codes and the need for a lot of upfront capital to create an authentic, small-town sense of place before there are necessarily enough rooftops to support that. Not many developers can do them well. Engquist is among the few who can. As he looks to the future, Engquist says he is bullish on the real estate market, both in Baton Rouge and nationwide. He believes Level, now building 600 homes a year, will continue to grow. As for his own developments, he says he’ll just have to see what kind of opportunities present themselves.